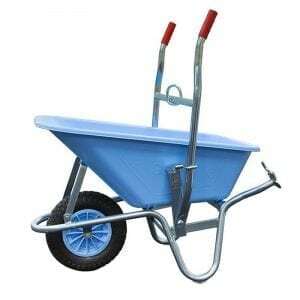 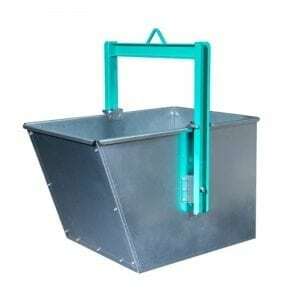 Next day delivery on all orders placed before 2pm, UK mainland only for 110V. 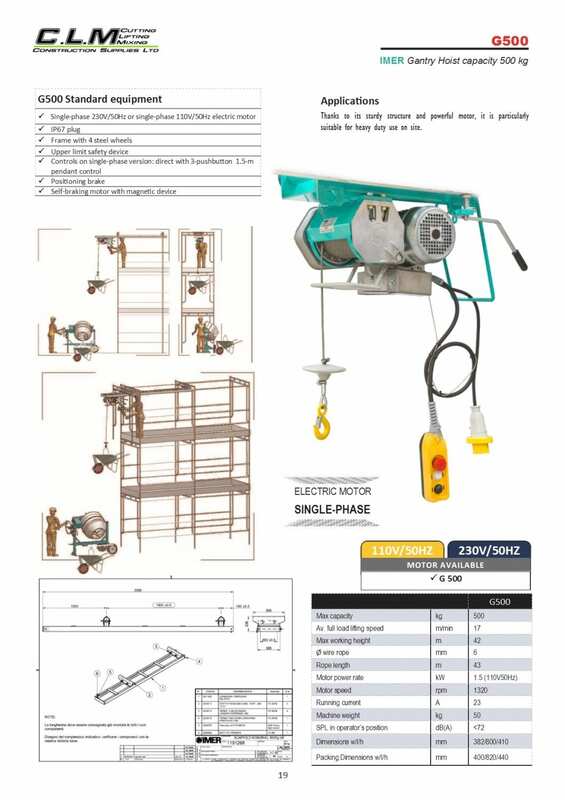 This 500Kg builder’s gantry hoist has a 42m height of lift gantry hoist is designed to be used within scaffolding or on a flat room where there is no scaffold to attach a lifting hoist to. 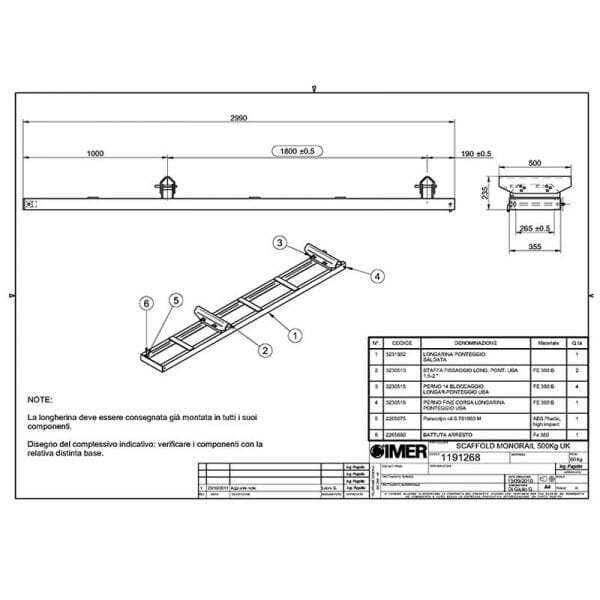 It has a running beam 3.3m long and allows an overhang of 1m beyond the edge of the safety board to enable material to be manoeuvred along the hoist runway safely and without effort. 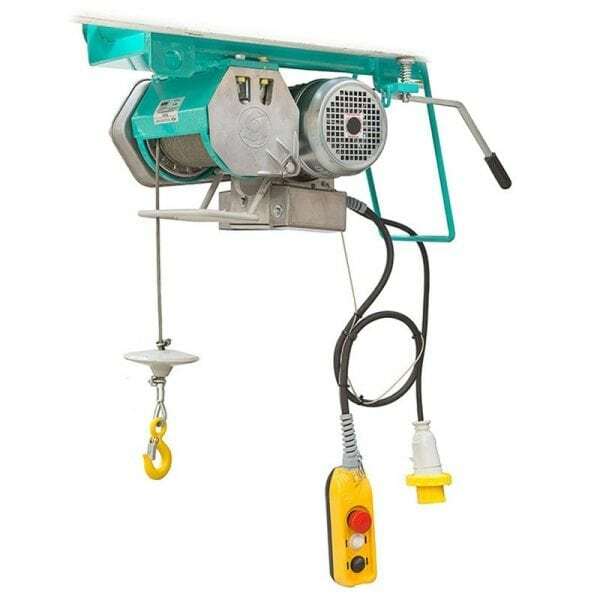 The gantry hoist is ideal for the small builder or larger contractor to lift material from the ground or lower material to the ground safely. 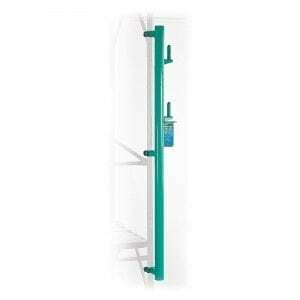 It has a top limit lever and micro switch to stop the hoist when it is at the top of its lift safely. 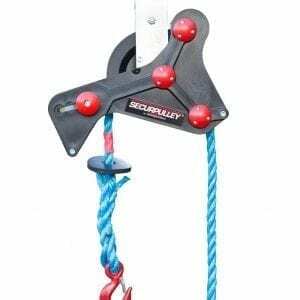 The hook has a spring-loaded safety catch to keep the load carrier within the hook. 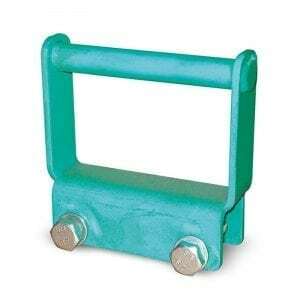 The Hoist also has a Brake to control the travel along its runway and Rubber stops at each end of the travel. There is also an Internal Beam with fittings that can be used when the height or area to be used is restricted. 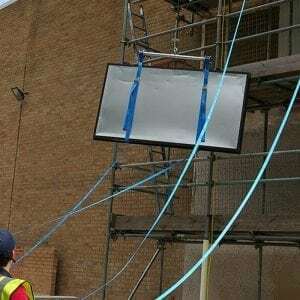 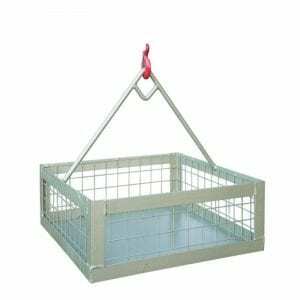 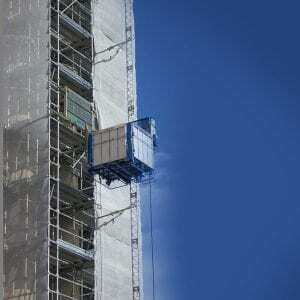 This is so that it can be connected directly overhead within a designed scaffold.